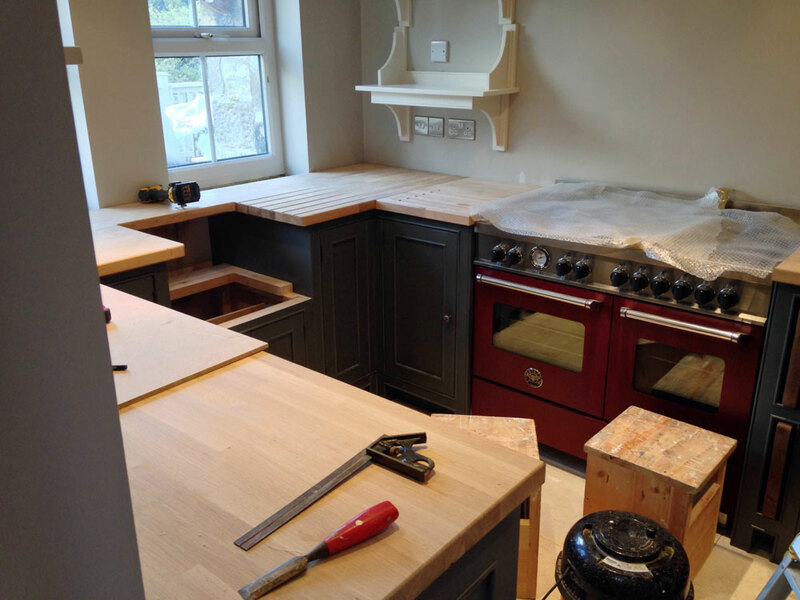 The kitchen units were painted in Down Pipe by Farrow & Ball. 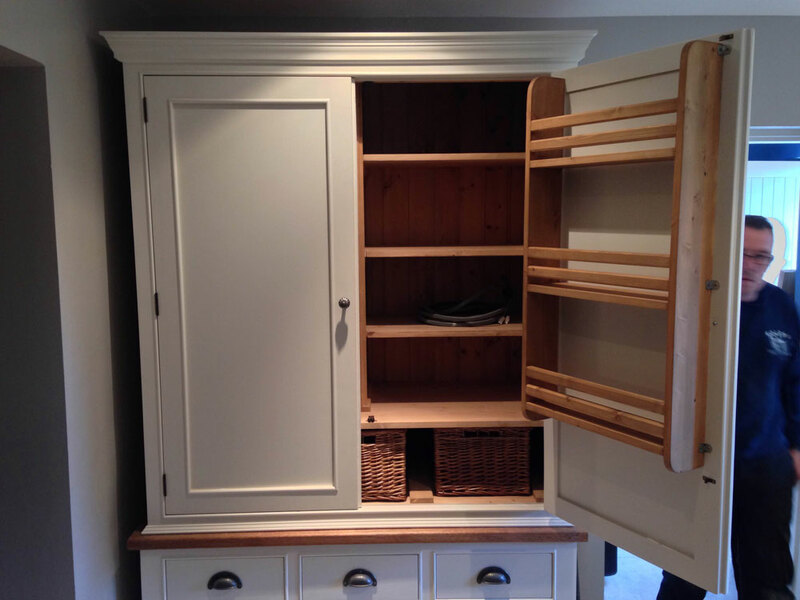 We also made bespoke shelves and a large larder unit with spice racks and internal storage. 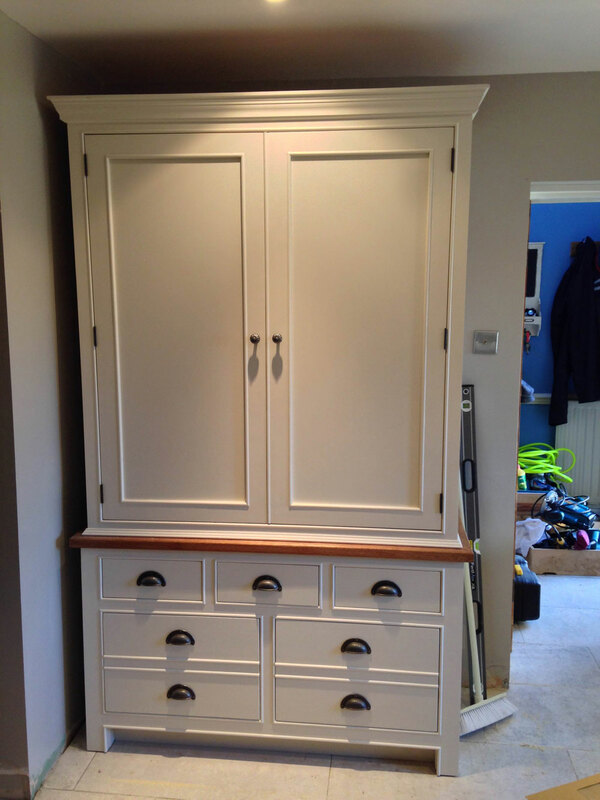 These were painted in Portland Stone Pale by Little Greene. 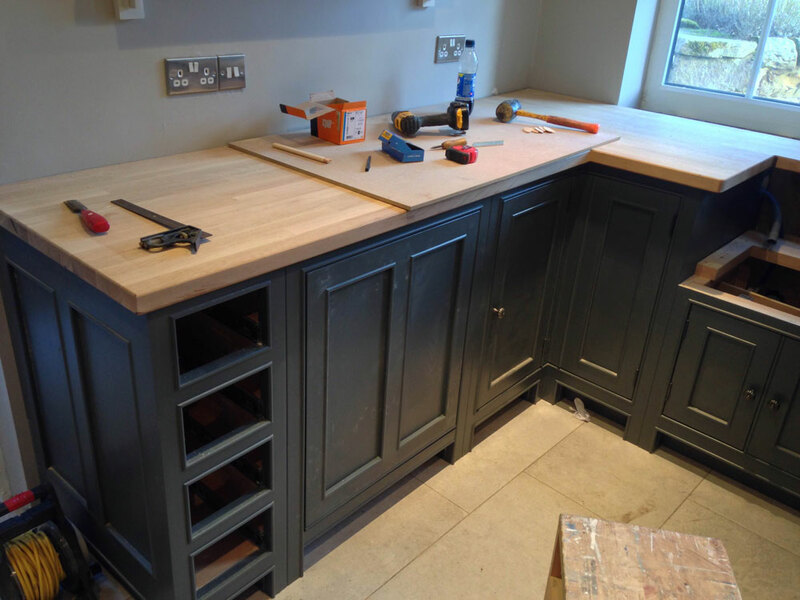 Once our joiners had finished fitting, the solid oak worktops were finished in English Oak satin oil by Fiddes. 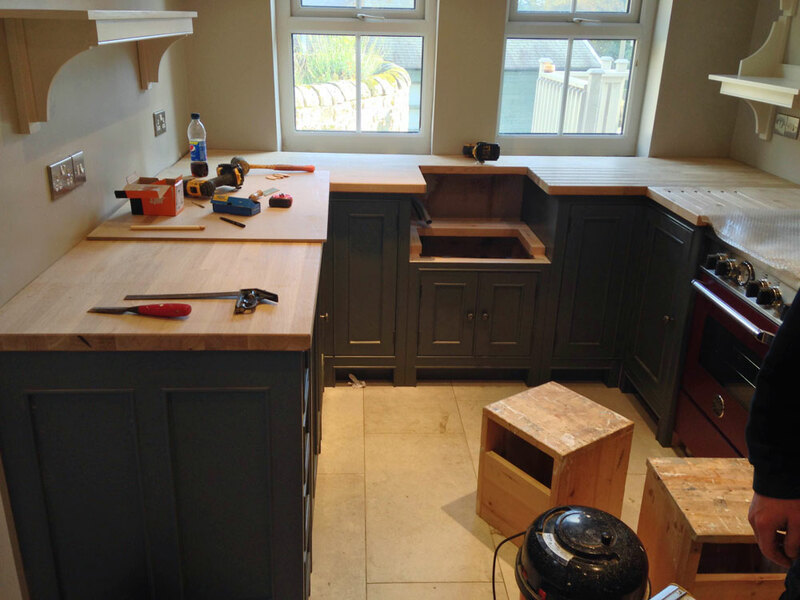 We look forward to receiving some final photo’s once our customer’s have completed working on their home.